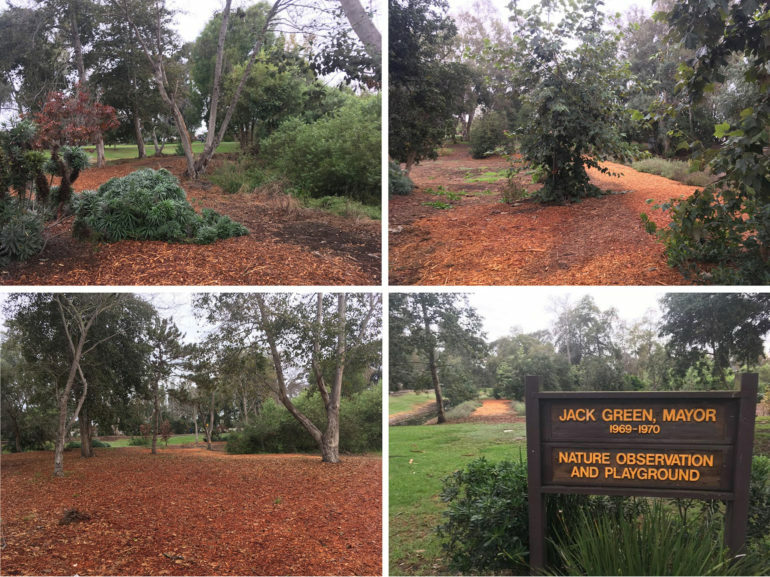 Before: The City of Huntington Beach cleared the northeastern portion of Huntington Central Park’s deteriorating Jack Green Nature Observation area, and partnered with the HB Tree Society on replanting. The late Jack Green (1926-2005), was mayor of Huntington Beach in 1969 and an early, forward-looking champion of the city’s Central Park and Central Library. As one of the pioneers of the open-space movement in Huntington Beach, Green worked with government officials and hundreds of private landowners to create the large park in north-central Huntington Beach. Located within the Pacific Flyway migration route, the Jack Green area will be ideal as a bird watching and picnicking haven. An estimated 310 species of birds frequent the park during spring and fall migrations, including many rare species.